When it comes to your residential and commercial garage doors, you have many companies to choose from. In a world full of reviews and social media posts, it can be hard to determine which company best fits your needs. That's why we're here to explain the benefits of working with Overhead Door - we want to make the decision simple for you! Not sure what you're looking for in a garage door? That's no problem - Overhead Door provides a wide selection of options. Whether you're looking for traditional wooden doors, a no-fuss steel door, or an ultra-modern glass model, Overhead Door provides exactly what you need. Still don't see quite what you want? Overhead Door can help you customize a design based on your specifications. There's also a wide variety of commercial doors to meet your business's needs, as well. Did you know that an Overhead Door product was used for Southern Living's 2017 Idea House? Talk about style! Many people don't realize that their garage doors can make a big statement about their home. It's a long-term way to add curb appeal and beauty to their property. It doesn't stop there, either - contemporary glass and aluminum commercial doors give your business a sleek, sophisticated aesthetic that draws the eye to your building. Garage doors are an important line of defense for your home or business. Overhead Door's includes additional safety features to our garage doors to prevent theft and entry into your home or business. You can also beef up your security by adding the OHD Anywhere™ to your security measures. You can remotely open the garage and receive notifications of opening/closing doors, whether it's with a remote or manually. Depending on your preferences, you might consider a wind-load residential door to protect your property from high wind conditions. Overhead Door's commercial line also provides fire-resistant and wind-load options to help you protect your company assets. Our team also sells safety eye replacements and other parts to make sure that your garage door is in proper working condition. Overhead Door's technicians are skilled to help repair or replace your garage door. They're familiar with new installations and how to correct broken parts. Additionally, we offer emergency, night, and weekend service - we understand that garage door problems don't always occur during regular business hours. Overhead Door is proud to be part of the Permian Basin. We strive to constantly improve our service and to make sure that our clients are happy. Customers who are treated with respect and courtesy are more apt to become lifelong patrons - and that's exactly what we strive to do. 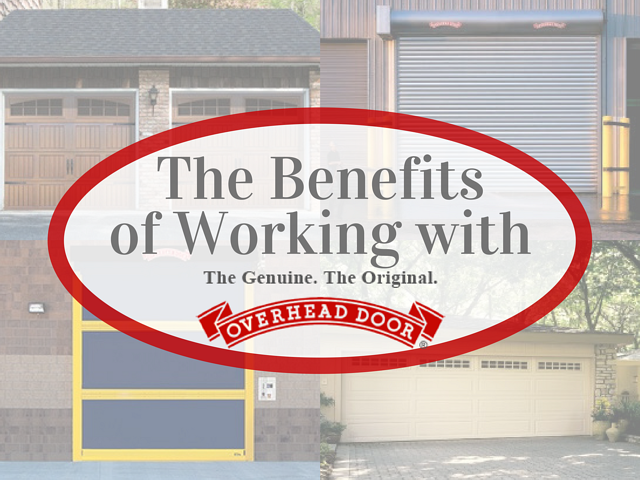 Experience the Overhead Door difference for your next garage door repair or replacement. Contact us today.